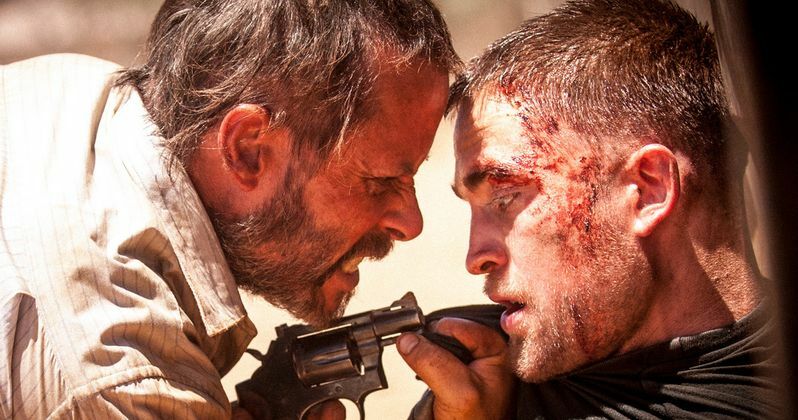 The Rover stars Robert Pattinson and Guy Pearce are joined by director David Michôd in a new featurette, which takes fans behind-the-scenes of this upcoming drama. David Michôd reveals that he wrote the character of Eric specifically for Guy Pearce, who is relentlessly angry at how the world has evolved after the collapse of modern society 10 years prior. Robert Pattinson plays Rey, who is forced by Eric to help track down his former gang, with the actor revealing that his character has never had to think for himself before meeting Eric. Learn more about The Rover with this new featurette, before the drama debuts in New York and Los Angeles June 13. The Rover, David Michôd's highly anticipated follow-up to Animal Kingdom, is set in a world 10 years following the collapse of society. The rule of the law has disintegrated and life is cheap. The film follows hardened loner Eric (Pearce) as he travels the desolate towns and roads of the outback. When a gang of thieves steals his car they leave behind a wounded Rey (Pattinson) in their wake. Forcing Rey to help track the gang, Eric will go to any lengths to take back the one thing that still matters to him. Michod also wrote the film based on a story he conceived with Joel Edgerton.